The Young Saint Who Knew Another Saint. | The Size of a Mustard Seed. Matthew 17:20. The Young Saint Who Knew Another Saint. I just came home from a beautiful conference given by an amazing priest at a local parish. During the talk, the priest mentioned a saint, St. Dominic Savio. This brief part of the conference inspired me to blog about this young saintly boy. Dominic was very close to one of the saints which we spoke about before, Don Bosco. 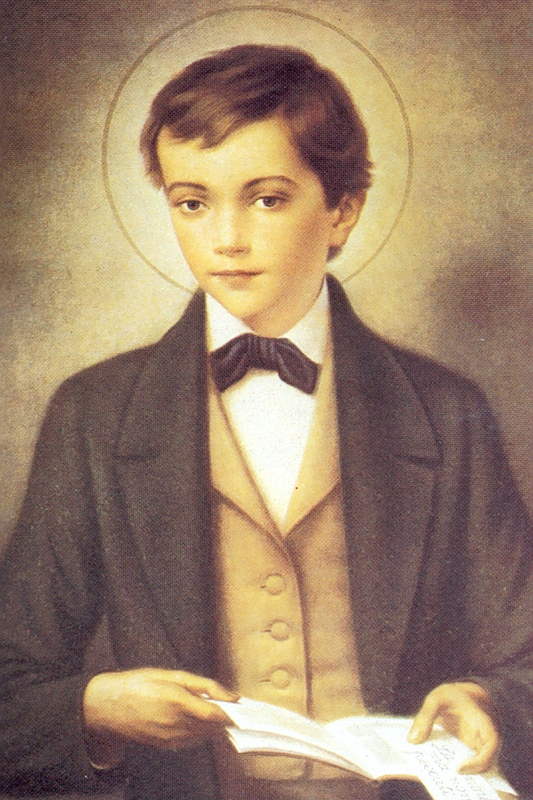 At the age of 12 he became a student at the Oratory. Father Bosco was immediately struck by the young boy’s faith. This little one was determined to grow up and become a priest. On several occasions he was seen spending hours rapt in prayer. During the years he spent living and learning at the Oratory he started a group for students called “The Company of the Immaculate Conception”. This was a prayer group for the boys along with serving as an aid to Don Bosco. Dominic was sadly never in good health though; and at the age of 15 it became considerably worse. He began to suffer from lung problems and died on March 9, 1857. St. Don Bosco later wrote an account of his inspiring yet simple life. And Dominic spent his short but powerful life following exactly that advice. Let us pray for the grace to be like this little holy one. To always lovingly put God first. To always be cheerful and allow our Lord to be the source of our joy. To have the grace to realize how precious our relationship with God really is. To always strive toward becoming saints, no matter how young or little we may be.